Our nation is getting fatter, experiencing more mental health issues, and spends more time watching screens than ever before. We’re hoping that the first ever National GetOutside Day, taking place on the 30th September, will raise enough awareness to begin to reverse this worrying trend. Organised by Ordnance Survey, the aim is simple: to get as many people as possible outdoors for the day. When I say day, however, please don’t think that you need to pledge hours and hours of your time. You don’t. As little as 15 minutes outside can be enough for people who, for whatever reason, are time-poor. This means a quick run before work, a stretch of your legs on your lunch break, and a trip to the park to collect conkers when you’ve picked up the kids from school all count. After all, 15 minutes is enough to get some fresh air, get some vitamin D, get some exercise and improve your overall wellbeing. Obviously, if you can manage more than 15 minutes then knock yourself out (just not literally, of course!). 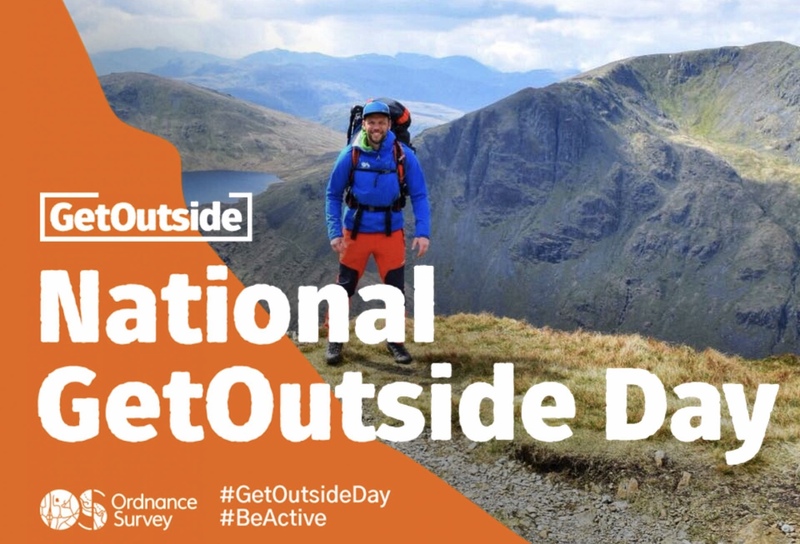 As well as signing up to one of the many awesome organised walks and activities that some of my fellow Ordnance Survey Champions will be running on National GetOutside Day, you can also download your own pack to organise your own activity. That leads me on neatly to the challenge that the title of this article refers to. You see, I want as many people as possible to GetOutside with someone else on the 30thSeptember. I want you, the readers of this post who may well be outdoorsy folk already, to encourage at least one other person to join you outside on that day. 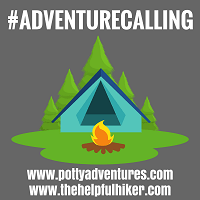 I don’t care whether it’s a grade one scramble with friends well versed in all things outdoors, or a laidback picnic with four generations of family in your local park; use social media to highlight what you’re doing and ask friends and family to join you. Be that person who makes a difference and inspires someone else to be active outdoors, and see how many people take you up on your offer of a morning, afternoon or even just a single hour, in the outdoors. Furthermore, the more kids that you encourage the better. In a lot of cases it’s the younger generation, the generation that our future depends on, who need most support to turn off their gadgets. So, help them to momentarily cease the funny WhatApp selfies, take a break from battling each other on Fortnite, and unplug themselves from their digitally intoxifying world. Immersing yourself inside the beautifully vivid world depicted in a game, film or on social media might be entertaining, but it simply doesn’t compare to immersing yourself in the real outdoors and letting your mind run free there. The last thing I’d like you to do is take a photo to commemorate your time outdoors as a group on National GetOutside Day, and post it on social media. For all of its negative aspects, social media can be a great and powerful tool that, when used responsibly, can inspire others wide and far. So, include the hashtag #GetOutsideDay on your photo (you can even tag us in it if you wish so that we can share it with our followers) and powerfully demonstrate that it’s good to get outside.